Jennie Lovell’s life is the very picture of love and loss. 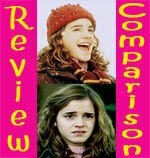 First she is orphaned and forced to live at the mercy of her stingy, indifferent relatives. Then her fiancé falls on the battlefield, leaving her heartbroken and alone. Jennie struggles to pick up the pieces of her shattered life, but is haunted by a mysterious figure that refuses to let her bury the past. This is a goooood book. Really. I wasn’t especially grabbed by the cover photo, but when I got the book through inter-library loan I was delighted by the heft and detail put into its construction. The publishers and illustrator Lisa Brown really went all out in designing a book that is visually attractive and replicates the feel of a scrapbook (something that plays an important role in the story). The combined package serves to create a reading experience rich in atmosphere that perfectly complements the spooky story inside. As an added bonus, the pictures contain clues and foreshadow the events to come. Romance, historical fiction, Gothic fiction, ghost stories, and mysteries are all great genres, but you know what’s even better? When an author mixes them all together. And when that author is the amazing Adele Griffin, you have nothing short of pure awesomeness. 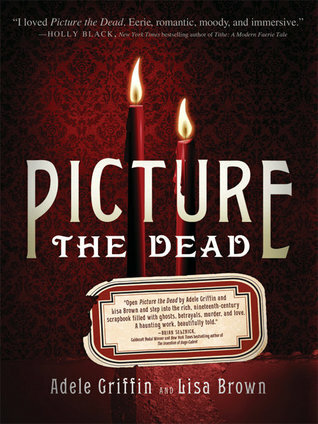 Oh my gosh, I’m flailing, I’m dying, I’m clutching the book to my chest and swooning over how much I loved Picture the Dead! Get this book, go find a comfortable spot and tell everyone you know to leave you alone for the next few hours. I mean it. Threaten them if you have to. Bribe them with cookies. Whatever you do, make sure you’re left alone. (Except, maybe bring a dog with you. They'll sense if there's a ghost nearby--just ask Susan Hill). You want to let yourself become totally absorbed and transported into the story. For me, this is one of those books where the real world disappeared around me. The scenes! Scenes! Ah, they’re seared into my brain. The images created are just so tangible. It was like I was a ghost in Jennie’s world, stuck in that delightful and infuriating position of observing and experiencing, but having absolutely no ability to affect anything. If you’re brave, read it at night. If you’re a wimp like me, ha, good luck. Even daylight won’t save you because what makes this story so spooky is the constant state of confusion you’re kept in until the climax. Sure there could be plausible, non-supernatural explanations, but the supernatural explanations are just as possible. Whatever the cause, though, you’re so totally screwed because if the explanations aren’t supernatural, well, you just might find yourself wishing they were because the alternative is almost scarier. The story is filled with twists and turns that kept me constantly guessing and gripping the edge of my seat in anticipation. I just wanted to reach into the book and start shaking the characters to tell me the truth already! But I never knew whose neck to wring…not that I would have believed a single one of them anyway. Friend? Enemy? Ulterior motives and alternative explanations abound and all of the possible scenarios are equally convincing. I felt like I was in a choose your own adventure book where I was presented with numerous possible paths. Is there a ghost, or isn’t there? Which brother is good, and which is evil? Or are they both good, or are they both evil? Oh wow, there are even more questions but I can’t tell you without spoiling things. All of the threads come together in an explosive climax that left me positively giddy. I was clutching the book so tightly it’s a good thing I had a durable hardcover copy and I gasped so loudly that even my library patrons took note ("Ah, you must be at a good part!" "Yes, yes, now shush and leave me alone." I was a terrible employee that day). From page one, my heart broke for Jennie, the narrator, but she’s a tricky one herself. She has a tendency to stretch the truth and steal, so I was often unsure as to how much I could trust her. Still, her exaggerations were amusing and actually made me like her more. I felt so connected with her over our shared hatred of her despicable aunt. Now that aunt was a woman I love to hate! She’s so awful I’m thinking she must be Dolores Umbridge’s long lost ancestor. But it wasn’t a complete giggle fest either. There’s so much sadness and loss here. Usually when I think of grief I think of just a horrible blanket of mourning that smothers everything. The feeling is unbearable, but it is clear. The other side of death, however, is often confusion. Not every death is neat and concrete with tangible explanations we can grasp onto as an anchor in a sea of grief. These types of deaths can be messy and are almost crueler in the confusion and swirl of conflicting emotions they evoke. This yo-yoing torment is what poor Jennie experiences and it is both terribly sad and morbidly enthralling. If you were in my library you’d be walking out with a copy in your hands whether you wanted to or not because I’d Book-Pusher it on you. If you like books like The Thirteenth Tale then read it. If you want a good ghost story (even if you’re a wimp like me) then read it. Even if you don’t like historical fiction, read it. The Civil War backdrop is perfect, but it serves to create atmosphere and doesn’t bog you down with historical details. Want to see me fangirl over Adele Griffin some more? 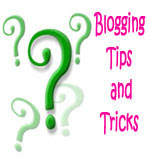 Click here for more posts from the Adele Griffin week! It sounds like I am going to have to place a request for this book myself through ILL. Thanks for posting this review! You sold it to me - I've added it to my wishlist. I can't wait to buy a copy! This sounds great! The Thirteenth Tale is one of my all time fave books, so this definitely sounds like something I'd like! OK. You've convinced me. I'll put it on my list! Sounds great -- thanks! That was such a great review! This is definitely something that I can't wait to read. It must be interesting to read it in a "scrapbook" format, and the illustrations and pictures probably added greatly. I might give it a try at night... we'll see :) Thanks for the awesome review! Your review is amazing and it sounds quite different this book, unusual but in a good way. I'll try to get it! I enjoyed this quite a bit and am so glad you did as well! I wish more people would check it out :) Great review! 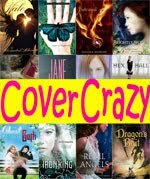 Wow, all of these Adele Griffin books keep impressing you so much I am thinking I will have to pick one up! Loved your sleepover party reactions LOL. Which Adele Griffin book would you recommend starting with? Ummmm... so I want this one. Great review. Can't wait to read it. Swwwoooooon. This sounds very much deserving of the special shelf. Hello? All of those awesome elements rolled into one quick read equals my heaven. I'm so embarrassed that I haven't read one of her books yet, despite the level of awesome you heap upon her. I should be shamed from your blog until I read this one, but that's just cruel because I couldn't go that long without my Small Review fix. ComaCalm, I hope you love it! Celine, Haha, well, I am a shameless book pusher so I’m happy to hear it’s working on you :) The pictures are great. Leanna, I adore The Thirteenth Tale. It’s definitely different and less story-within-a-story, but Picture the Dead has a great Gothic vibe. Annette, I hope you enjoy it! The Slowest Bookworm, Haha, yes! I hope you love it! T. B., Thank you! I’m so happy you enjoyed it! Good luck reading it at night, you brave girl :P The scrapbook feel was great and really made the story feel more real. Alex, Haha, I’m so glad you liked my review. I was wondering if it wasn’t maybe a little *too* fangirly :P This is certainly not a book where I felt like I had already read this story a million times before. I hope you like it! Kelsey, Yes! Another person who has read and liked it! :) I’m so happy to hear that. I hope more people do read it. Nina, Haha, yep, I really am. :P I’m so glad you liked my review though. I hope you do check them out and like them! Danya, Oh I hope you do check them out! Hm…I think it depends on what you’re in the mood for. Tighter is more of a contemporary/ghost book, Picture the Dead is more historical/ghost, (both keep you guessing), Where I Want to Be is more contemporary/sad and deals with relationships, and The Julian Game is hm, you might actually like that one a lot, it’s very “psychological” with the topics it touches on. I think with your psych background you would appreciate a lot of the characterization and events in that one. I loved all of them though, plus she’s also written a bunch more that I haven’t gotten to yet. Alexis, Thank you! I hope you enjoy the book! Book Geek, I’m so glad to hear that!! Thank you :) I really liked how the pictures went along with the story. It made me feel like I was actually reading Jennie’s scrapbook, which just made the whole experience seem even more real. Ooh, this is totally going on my TBR list. And I'll be saving it for Halloween. :) Great review, hope you're enjoying the Gothic Reading Challenge! Couch Potato Critic, I hope you enjoy it! I think it would make an excellent Halloween read. I am enjoying the challenge very much. Thanks!